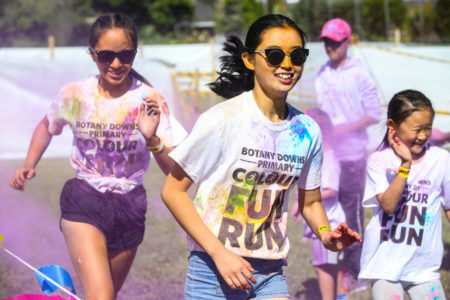 The sun was shining and the colour stations were set for the first ever Botany Downs Primary Colour Fun Run on Sunday. 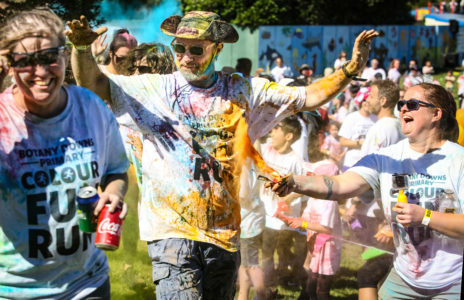 The whole community came out in full force, starting out with a sea of crisp white t-shirts and ending in a rainbow of colours. 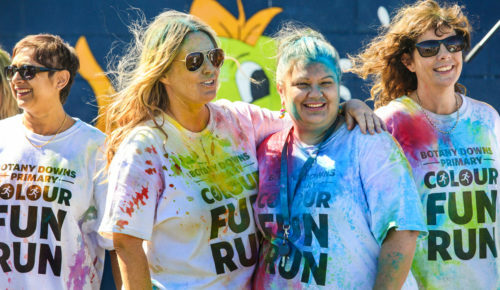 With some help from the local Howick firemen, runners were sprayed with fire hoses before making their way around a 1km colour course through the school, which included a lap through the nature garden. 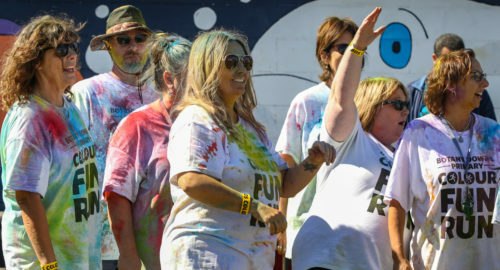 Participants had to navigate fun obstacles such as a maze with a foam cannon, a spider web rope and hula hoops. 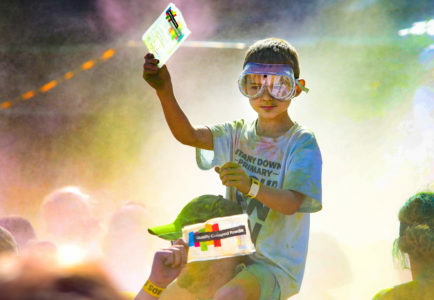 They also had to run through five colour stations where they were splattered with coloured powder. 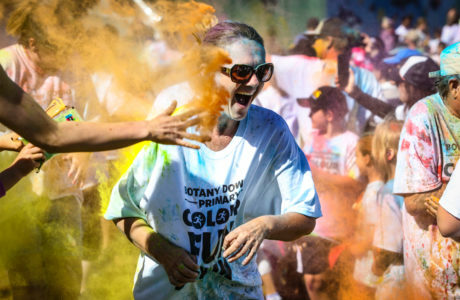 A large group of teachers including principal, Mr T, were game enough to run the gauntlet and get heavily doused in powder by the students which was a highlight for all. 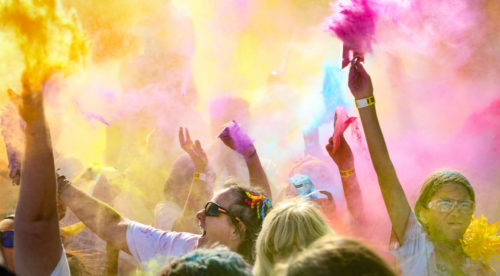 The day concluded with a spectacular grand finale colour throw where the whole crowd threw a rainbow of colours into the air. The day was filled with entertainment from local fitness and dance groups, including flossing competitions from the students. Amazing raffles and spot prizes were won thanks to generous sponsors who donated to the event- most were from local businesses who wanted to support the school. 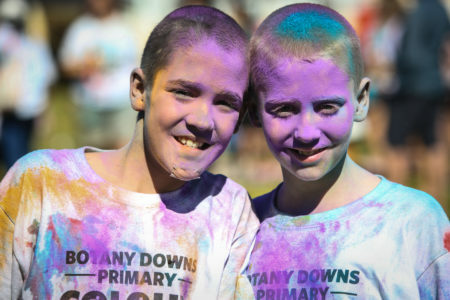 The Botany Downs Primary PTA would especially like to thank Platinum Hardware & Glass and Les Mills Howick for their contribution and support. All proceeds from this event will go towards upgrading the school playgrounds.